From being a village and kind of hideaway for people looking for a quieter place than lively Seminyak or Kuta some years ago, Canggu has been developing to its own place to be. Besides being famous for its waves, cafés and restaurants, it also has a yoga and fitness scene. 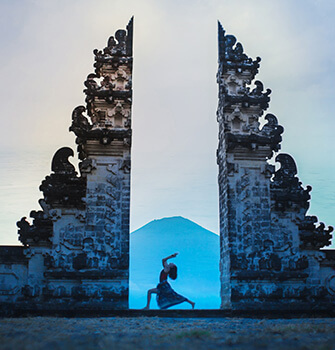 Discover everything about Yoga in Canggu in this article. With its black sand beaches around Batu Bolong, Berawa, Echo Beach and Pererenan Canggu has been evolving to a hub for surfers, digital nomads, conscious foodies and yogis. 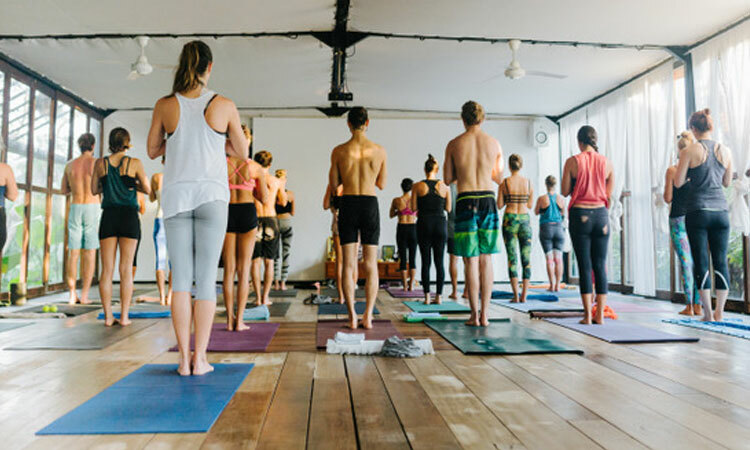 Though not as many as in Ubud, Bali's Mecca for Yogis, there are quite a few places to practice yoga in Canggu, for those who prefer to stay closer to the ocean than in the center of Bali. With stunning mountain and rice field views Serenity Yoga is a beautiful Yoga studio situated in Serenity Eco Guest House. In-house guests as well as walk-ins can choose between a variety of Yoga classes like Hatha, Ashtanga, Vinyasa, Aerial Yoga and more as well as sound healing and meditation during approximately ten classes per day. Furthermore, Serenity also offers retreats and Yoga Teacher Trainings. Yogis of all levels and ages are welcome to feel the loving, health conscious, and friendly community atmosphere of this place. Nestled in a quiet and peaceful area of Canggu, close to beaches Batu Bolong and Echo, Samadi is an oasis of energy, harmony and peaceful vibes. Offering daily Yoga classes, Samadi specializes in traditional Ashtanga Yoga, taught as Mysore method by KPJAYI international yoga teachers. For the after-yoga treatment there is a wellness center, offering holistic healing treatments. Feeling hungry after your session? Nourish yourself with some healthy dishes of Samadi’s organic vegetarian café, certified by the Slow Food movement. From superfood smoothie bowls, traditional Indian food, ayurvedic and raw food dishes there is a big variety to choose from. Every Sunday, Samadi hosts an Organic Farmers and Artisans Market, giving another opportunity to connect with the local community and another aspect of a conscious lifestyle. The Chillhouse Yoga belongs to the Chillhouse Surf & Yoga Retreat. A home away from home for surfers and yogis, open for Chillhouse guests and walk-ins. The Chillhouse offers the ideal place to wind down and feed your mind, body, soul and spirit. Set amongst the gardens is a stunning yoga shala, spacious, airy and serene. Here internationnally accredited teachers give daily classes in Vinyasa, Hatha, Kundalini and Yin Yoga. No matter if as part of your surf holiday, as full yoga retreat, beginner, intermediate or pro - Chillhouse has something for everybody. For refueling yourself Chillhouse has Cassava, an amazing vegetarian café using only locally sourced fresh produce. 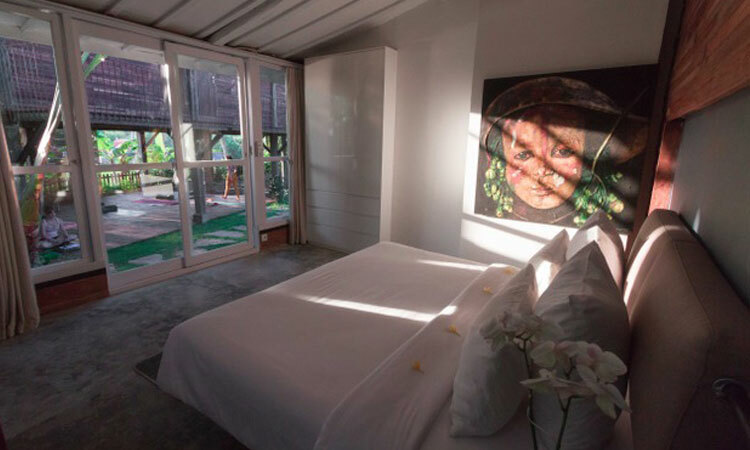 Desa Seni is more like an art village than just a yoga studio, focusing on culture from the archipelago of Indonesia, showcasing artists who live and work in Indonesia. 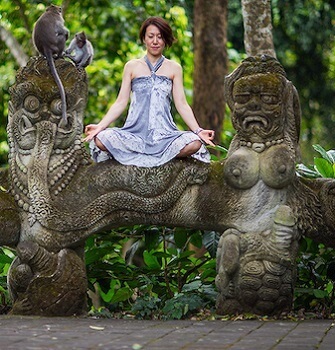 In a village setting and tropical open air shala it offers daily yoga classes, personal yoga retreats, teacher trainings as well as private sessions. In the holistic spa you can get spoiled by one of the exquisite wellness packages. Having a holistic approach on everything offered, Desa Seni has an own organic farm to provide most of the food for its organic restaurant with Asian-Western fusion dishes. Further amenities are accommodation directly in the art village and an artistic gift shop. At every single unit it can be felt that the village resort supports locals to give back to the community. On a regular basis community events like donation based Yoga classes or full moon celebrations are offered by the resort. Yogis can choose between Vinyasa, Master Class, Hatha, Restorative, Yin, Alignment & Adjustment and Meditation classes for all levels. The Practice is a Yoga Studio founded by Octavio Salvado, Rob Dubois and Carl Massy, famous for its traditional Hatha Yoga classes. Having the vision to spread the original Yoga and its values, classes focus not only on Asanas but more on an overall understanding of the Yogic way of life. Though located on lively Batu Bolong, it is a calm and inspiring place to go back to yourself. The Practice offers various community activities, coachings, teacher trainings as well as different workshops. 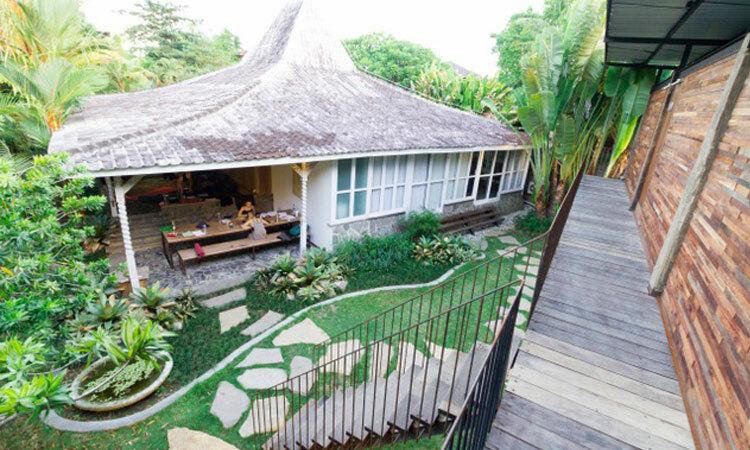 The Canggu studio stands out of the before mentioned yoga places. As a holistic fitness studio it offers not only various Yoga classes but also Pilates, Martial Arts like Muay Thai or Boxing, Contemporary Dance, Indian Odi, Barre Flow and a lot more. Located in a quiet side street between Jl. Pantai Berawa and Batu Bolong in a two-story brick stone building, Canggu Studio also houses a shop as well as a café to fuel you after your sessions. Pranava Yoga is a Yoga studio located at Jl. Pantai Berawa. In an outdoor shala among Bali’s lush green surroundings. Experienced teachers give classes in Hatha Yoga, Ashtanga, Vinyasa, Anti Gravity, Power Yoga and others. Yoga classes at Ecosfera are mainly Hatha, Vinyasa and Yin Yoga classes, as well as stretching and functional training. 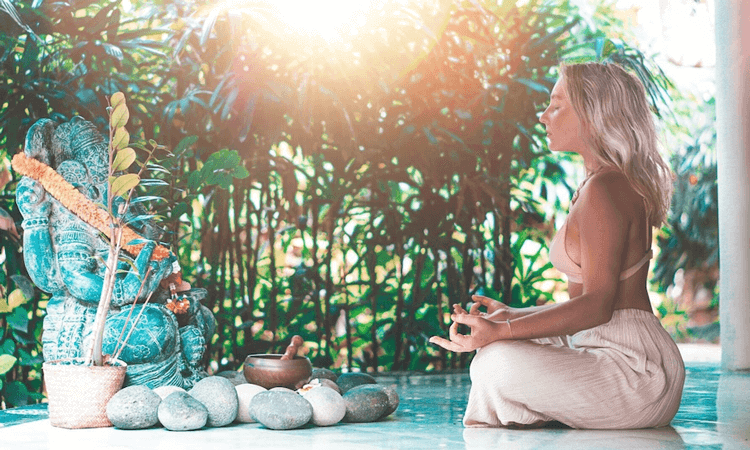 Settled within a cozy boutique hotel, Ecosfera Yoga shala is a place to calm down, relax and really focus on your practice without any distractions. To nourish yourself with the right food Ecosfera Green Spot Café has a mix of Indonesian and European healthy meals and drinks. Living a Yoga lifestyle does not only mean to practice regulary in a surrounding that lets you focus on your practice, it also means to nourish yourself the best possible way. To feed your body with healthy, fresh foods that match with its needs. 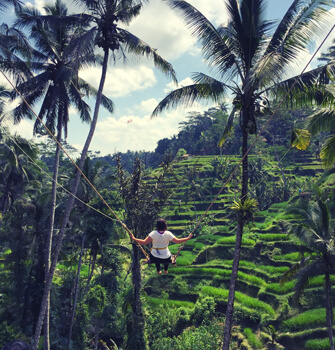 Whether you follow a vegan, vegetarian, ayurvedic, raw or any other diet: Canggu makes it easy to stick to that diet even when you are away from home. 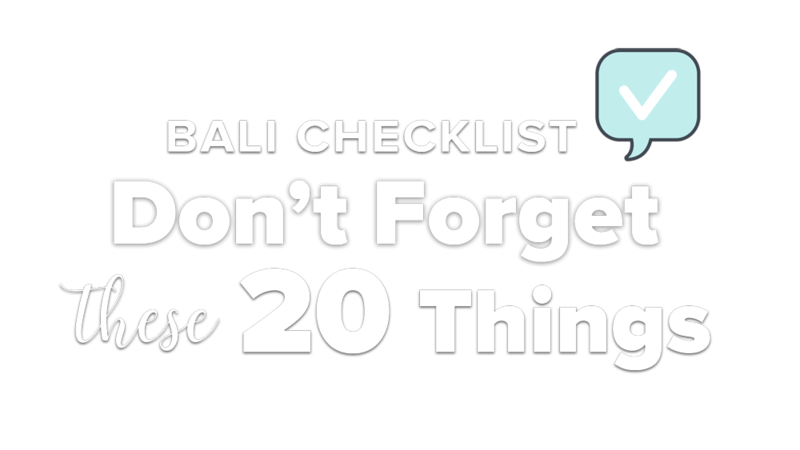 BaliSpirit checked some of the numerous eating places and came up with the following list. We highly recommend to stroll along Canggu’s roads for own discoveries, as there are constantly new places opening. Motion Café is the place to go for fitness addicts and people who love to eat smart and clean. Supporting local farmers and using organic products whenever possible, the ingredients of Motion Café’s dishes are combined for best nutrition absorption. That way, your body gets the vitamins the best way possible. For flavoring Motion Café uses only fresh herbs and spices, Himalaya salt and no refined sugar. All drinks, desserts and snacks are homemade and most of them are gluten-free or vegan. Additionally, Motion Café offers retreats catering - nutrition consultation and meals planning, such as Ayurvedic menu adjusted to your dosha. Alkaline Restaurant offers plenty of healthy homemade meals for everyone to choose from. Catering for Vegans and Vegetarians, with no MSG or any chemical enhancements. Each morning there are various options such as fruit juice, black rice porridge, fruit salad, special of the day, steamed banana, homemade bread with homemade peanut butter and jam and others to choose from for breakfast. The Alkaline Restaurant is public to everyone, not just for hotel guests, and is open daily for breakfast, lunch and dinner. The restaurant also has a lot of healthy desserts, snacks, raw energy balls, vegan cakes, caramel chocolate oat cookies and so on... just like heaven for the healthy food lover. Samadi is also home to an organic vegetarian cafe certified by the Slow Food movement – like an extension of your own kitchen – dishing up superfood smoothie bowls, traditional Indian food and raw-based dishes. Its kitchen lab alchemists artfully combine ingredients into ‘gourmetarian’ creations that will take your taste buds on a surprising adventure! Peloton Supershop – a piece of love created by Madison Setiawan and Thomas Edwards: A 100% vegan cafe and artisan bicycle shop designed to energize the mind and body. Peloton shows that vegan meals can be excited and fun, as one can see already in the names of the meals like “Lance Lasagne” or “Hash Stack”. 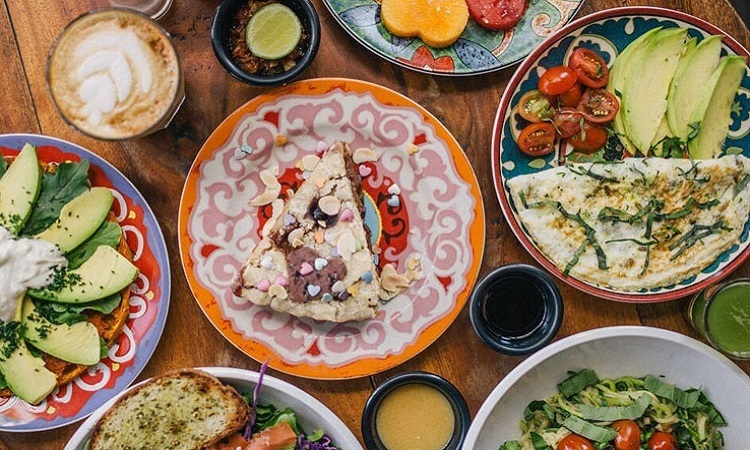 Located in Canggu’s Berawa district, Peloton serves breakfast, lunch and dinner and is one of the main vegan institutions of Canggu’s restaurant scene – not only for bicyclists and bicyclistas but also for all the yogis and vegan food lovers out there. Hidden in a smaller parallel street of Batu Bolong, Shady Shack is a cozy open air garden restaurant/café famous for its great cake creations and coffee. Besides that it has a creative menu with lots of vegetarian choices for lunch break and dinner – or whenever your yoga tummy craves for something healthy. Just one rice field and one road further is the Betelnut Café. Set in a two-story building along Batu Bolong road, a bunch of healthy veggie and non-veggie food options from smoothie bowls to avocado-chicken wrap and salads make it difficult to decide for which one to go. The only trick: come more than once. The name says it all…the Living kitchen is a restaurant on the second floor of same named health shop off the main roads of Canggu. It really has everything: Indonesian and Western dishes, vegan, vegetarian and meat. No matter if you go for breakfast, lunch or dinner, you will always find something to satisfy your taste buds. The Savage Kitchen is a wild health-driven food concept, using fresh, regionally sourced and locally grown ingredients from all around Indonesia. 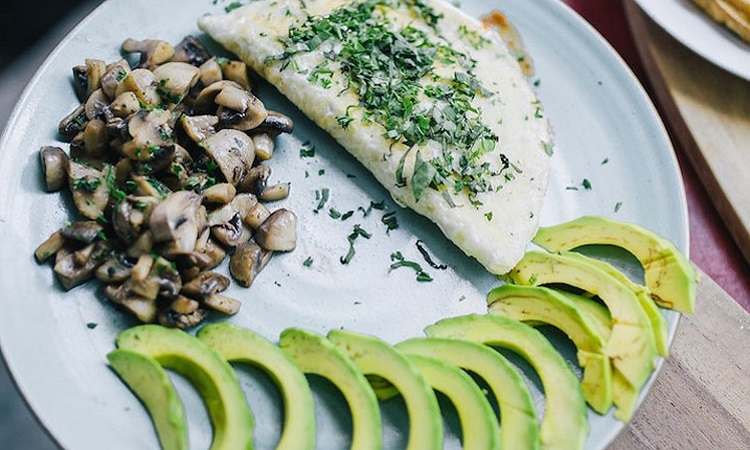 Whether starting your day with a healthy breakfast and great coffee, or just checking in for a quick lunch – Savage Kitchen has something healthy to offer for everyone. No time to eat at the place? Choose between various take away options. If you are looking for an extravagant place in the evening gather with friends to sip a selection of classic cocktails in the sultry space surrounding the bar, or stay for dinner and pair any dish with the wine list curated from small-house wineries all across the globe. Regular special events include DJ-curated Savage Wednesdays, with cocktail specials for ladies, and the monthly Chef’s Table, where the culinary team holds nothing back and spreads their creative wings. More a morning and daytime restaurant, Sprout Bali has a concept based on a nutrition conscious, holistic approach. Its focus is on fresh, wholesome food, impeccable coffee and sustainability paired with a relaxed, modern café vibe. Most of the vegetables and herbs used are grown in the own organic garden. While tasting yourself through the menu you will find that most dishes combine boasting artisanal goodness with rustic arabesque influences. Nalu Bowls is Bali’s first smoothie bowl shack catering to those who crave a sweet & refreshing treat on those balmy Bali days. Offering fresh, local ingredients, homemade granola baked every day, and recipes that will make you fill energized and happy. Nalu Bowls are sold at a few places around Canggu. Forgot your favorite Yoga legging? You are looking for that new shirt to train with? Canggu has some Yoga shops that sell not only the latest styles, but also have a conscious production chain in mind. From organic fabrics, recycled materials to fair trade – negative impacts on environment are kept as low as possible. 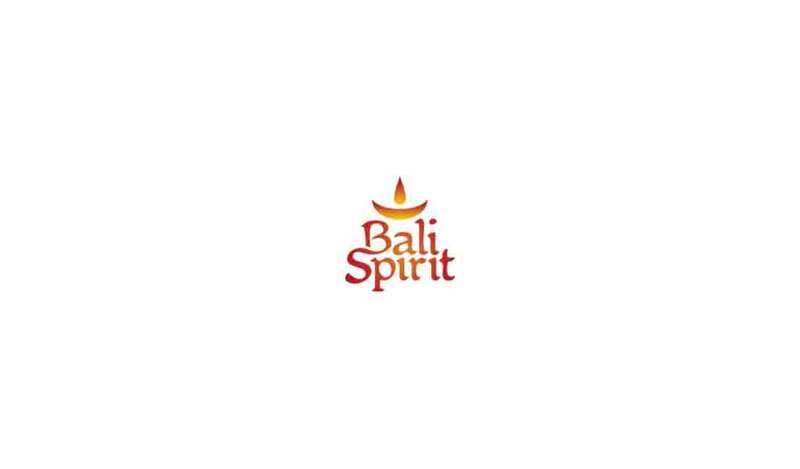 Find out more about ethical and fair trade brands in Bali here. 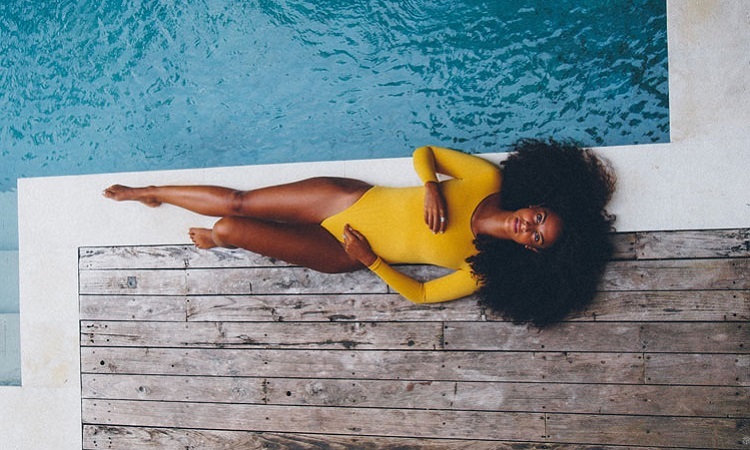 Indigo Luna is an ethically made, eco-conscious Yoga and Swimwear brand. Their goal is to create beautiful and sustainable fashion for yogis and sun seekers. With their aim to be socially responsible, they do not and will not use any animal products. Due to the fact that the fashion industry is one of the most polluting industries on the planet, Indigo Luna is using some of the oldest and newest environmentally friendly techniques to avoid negative environmental impacts. Their Organic Bamboo tops are dyed in Bali using 100% plant-based dyes, thus creating no synthetic runoff and only organic waste. The use of natural dyes has been around for thousands of years, it is a beautiful process that is less harmful to the planet and also gives each garment its own soul and personality. Garments you find in the shop, got their inspiration from batik prints of Bali and Java, as well as beautiful colours and earthy hues which can be found in nature. Indigo Luna recently introduced their new Samsara range of leggings and swimwear created from Italian Recycled ECONYL. This nylon is harvested from old and discarded fishing nets and recycled into high-quality materials. Nylon is non-biodegradable and ghost fishing nets kill tens of thousands of marine animals every year. By purchasing clothing with this technology, you are helping to close the loop and stop the creation of this potentially harmful material. The brand is mindfully made fashion, Yoga wear and accessories that accentuate your look without compromising your higher principles. Their clothing are 100% certified organic cotton and eco-luxe bamboo clothing. 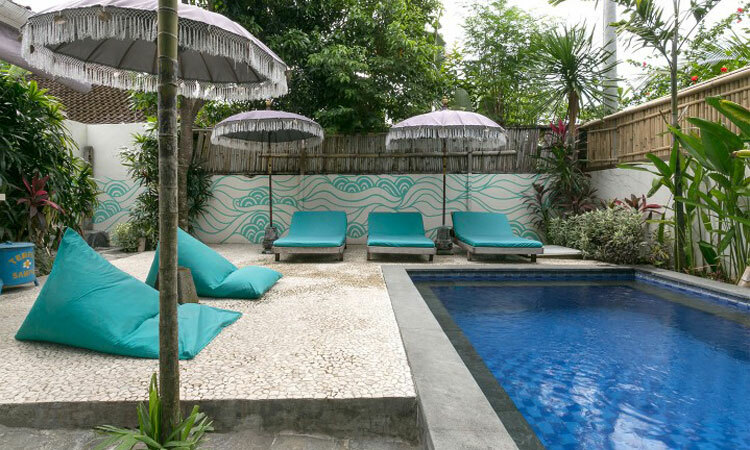 When it comes to a cozy place to stay Canggu has hundreds of options, from low-budget to luxury, bungalow, homestay, hotel, everything can be found. 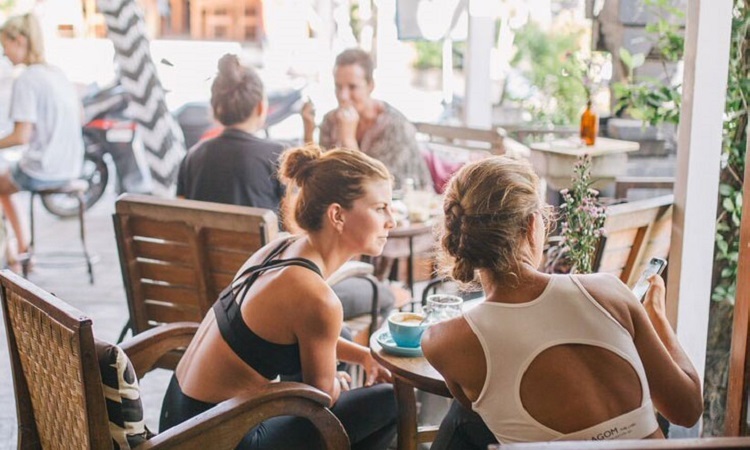 Coming to the town as a yogi and wishing for that Yoga-inspiring environment, BaliSpirit recommends the following places. 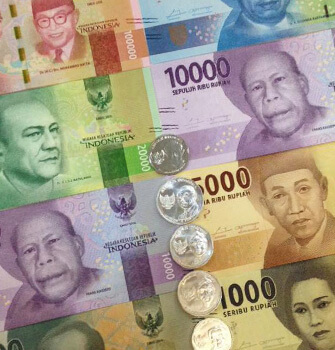 More accommodation in Bali and Canggu. When you enter the Serenity zone, you will feel an oasis. 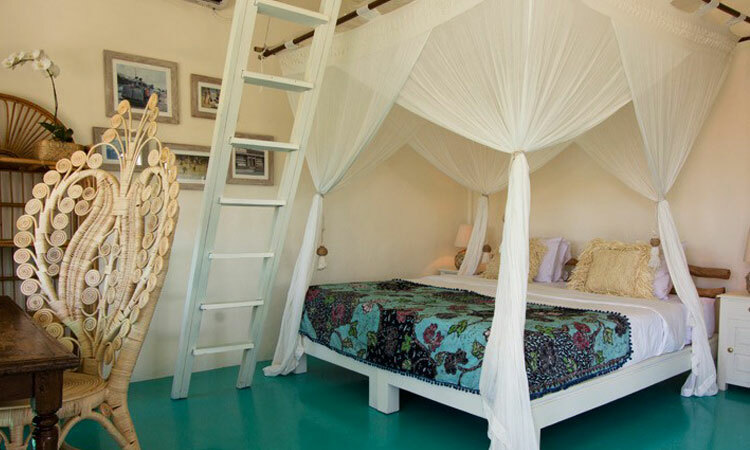 Serenity Eco Guest House invites you with a wonderful variety of accommodation to suit your individual needs, from private superior rooms, cozy singles to comfortable dormitories. Each room has its own bathroom, is more private and comes equipped with AC or both AC and Fan. Want to relax and enjoy the ambience? Then your place is the big 14 meter outdoor pool. Serenity stands for a healthy, natural, spiritual & sustainable way of life. It prioritizes an eco-friendly attitude, trying to keep everything natural, therefore everything is made of bamboo and old plastic bottles are re-used for some walls. Since April 2018 Samadi Residency offers ten beautiful designer bedrooms: two rooms with king size beds and eight rooms with single beds which are convertible to kingsize beds. Samadi is a beautiful space, artistically and stylishly laid out. The surroundings are quiet, quaint and comfortable, designed for luxury living enclosed in a lush green environment and a stunning view to the rice fields. 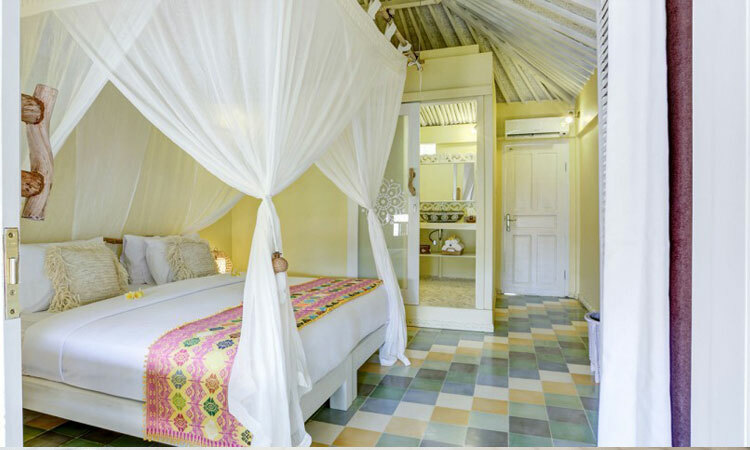 All the rooms have air-conditioning, WIFI, private bathroom, mosquito nets over the beds and daily housekeeping. The Chillhouse accommodation has a variety of housing options to choose from: Three complete villas or houses for several persons including The Commune, Yoga House and Chilla Villa, as well as comfortable double and single rooms in the main building and a three floor loft. All rooms are carefully decorated and equipped with all necessities.